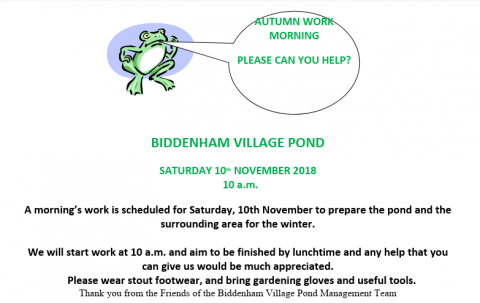 Starting with the February 2018 edition, copies of The Loop are to be posted on the Biddenham Parish Council website three months after their publication date. For example, the September edition will be posted at the beginning of December. 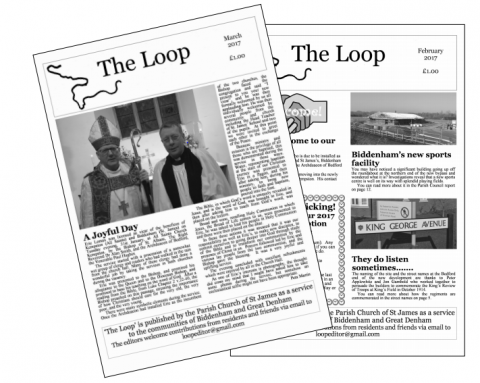 So, if you want to look back at events in the parish over the last year and have mislaid your copy of The Loop, you can now access the February to July/August 2018 editions by clicking this link . Should you wish to look further back, there are bound copies of the parish magazine since 1966 which are held by the editor. Email. loopeditor@gmail.com or call 349849 if you would like to see them. Alternatively, copies of the magazines are also held in Bedfordshire Archives. 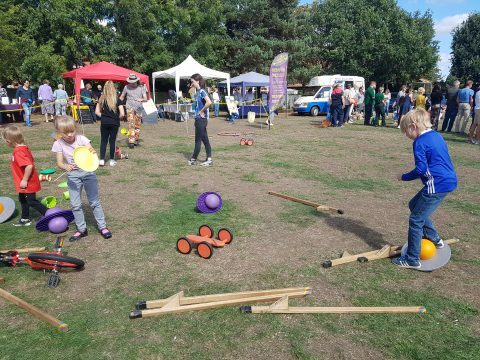 After a hot summer the Biddenham Show took place amid gathering clouds on Sunday the 9th September 2018. Luckily the sun came out in all its glory during the afternoon. It was tea shirt weather, the organisers looked relieved. 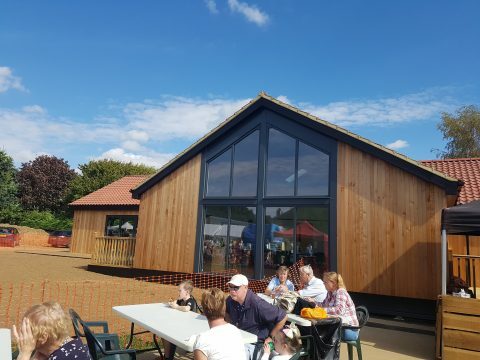 The show this year was smaller in scale as the school had built its new classrooms on the playing fields at the rear. The new building looks fantastic. It has been built so quickly given there was so much talk about it, totally unexpected! Despite the lack of space the organisers did a fantastic job in keeping the more popular activities going. The Punch and Judy show was the usual hit with many balloons being handed out. 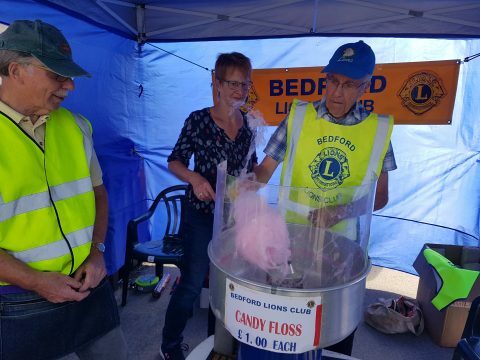 Many children were present and as usual the, circus games, bouncy castle, ice cream van and candy floss stall proved very popular with them. Centre stage this year was the dog show, it was very busy around the perimeter and the dogs were quite excitable. 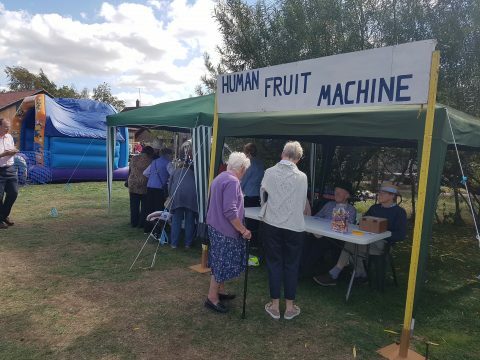 The human fruit machine was there as well, however fate made it hard going getting the correct combinations. Oh well. For the older people the beer tent was there along with the traditional competition displays, the cakes in particular looked very tempting. 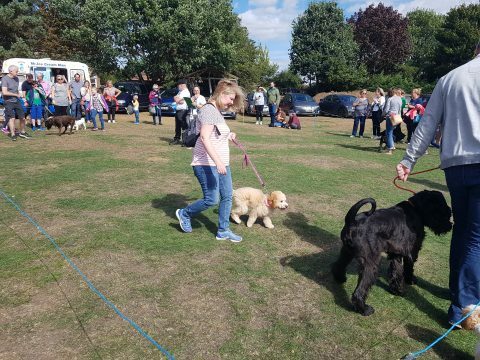 As usual the Biddenham show is a success because of the organisers and the people who come. The organisers have again been outstanding in their efforts despite the organisational challengers. Join us for some elephant themed crafts. Come along for some sea world themed colouring. What Can You See Through Your Porthole? Join us for some more sea world fun. Drop in to make a sea world bookmark to take home. Come along and make a fabulous octopus mobile. Design a sea creature using your fingerprints. Drop in for some more fishy fun. Join us for some insect themed colouring. Drop in to make a super spider mobile. Join us to make your own insect themed bookmark. Come along for more creepy crawlie fun. Join us to make your own butterfly mask. Drop in to decorate a butterfly. How colourful will yours be? Join us for some colouring with a fun pet theme. Drop in to make your own cat mask. Come along and make your own bookmark with a pet theme. Join us for some dog related crafts. Come and join us for a fun morning of `Doggy Tales` with with Gemma, Dogs Trust Education Officer. We will be learning all about `a dog`s needs` and `how to be a responsible dog owner` and reading some fun and exciting dog related stories! Why not bring along a picture of your dog or pet to share with the group on the day? Ages 6-11. Drop in for this fun bunny craft. Join us to make your own tortoise. Drop in for some fun pirate colouring. Come along and make your own pop-up pirate. Explore Learning for Children are running a pirate themed Creative Writing workshop aimed at children aged 8-12 years. 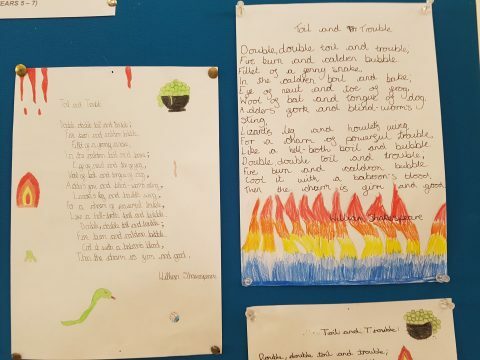 Come along for loads of Creative Writing fun! Drop to make a pirate bookmark to take home. Drop in and colour a magic pirate ship. Come along and make your own pirate mask. Drop in for this colourful parrot craft. Come along and make your own stand up dinosaur. Join us to make your own dinosaur bookmark to take home. Drop in to make a dinosaur finger puppet. Come along to make a fabulous dinosaur mobile. Join us for this fun dinosaur egg craft. Drop in for some monster dinosaur colouring fun. Join us for loads of crafts to mark the end of the Summer Reading Challenge. Enjoy all kinds of crafty fun at these Wednesday workshops. Workshops start at 11, 12.30 and 2pm. 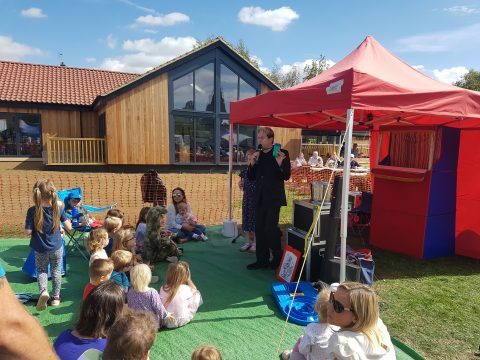 The Higgins Bedford has teamed up with popular local providers to bring you spectacular STEM themed activities for the family every Friday this summer. We’ve got Teaching Talons with their wild animal encounters, Mini Map Makers and fun with Little Science Labs. All children to be accompanied by an adult. Activities are designed for children that are age 5 and above and are not suitable for under 3’s. Accompanying adults go free. Places can be booked in advance. To book, please purchase a ticket at The Higgins Bedford reception desk. We are not yet able to take bookings over the phone or online. Unfilled places will be offered on a first-come, first served basis on the day. Are you a cyclist or a walker and would you like to raise money for St Jame’s church? The annual Sponsored Bike ‘n Hike organised by Beds and Herts Historic Churches Trust will this year be held on Saturday 8th September. Please make a note of the date in your diary or on your calendar. Messy Church at Church Barn, Biddenham. ‘Church’ with a difference! Be creative Have fun Hear bible stories Sing songs Enjoy dinner for all the family. For children of all ages (Accompanied by an adult). Free no need to book, just come along. Bromham Library are doing some half term activities for children in the week beginning Saturday 26th May to Saturday 1st June 2018. It is free to participate in and of course parking is free. It`s Elmer Week at Bromham Library! Start by dressing in your brightest colours and come along to complete your outfit by making an Elmer mask. Come along and join the fun as Elmer Week continues! Drop in to make and decorate your own stand-up Elmer elephant. Help us make the longest Elmer bunting! Colour it today and take it home next week. Join us to make your own elephant bookmark to take home. To finish off Elmer Week come and join us for Elmer crafts, colouring, games and pin the trunk on Elmer. Discover the Marston Vale Line – Your Community Railway This Spring! The Marston Vale Line (Bedford – Bletchley) has a packed programme for the spring! 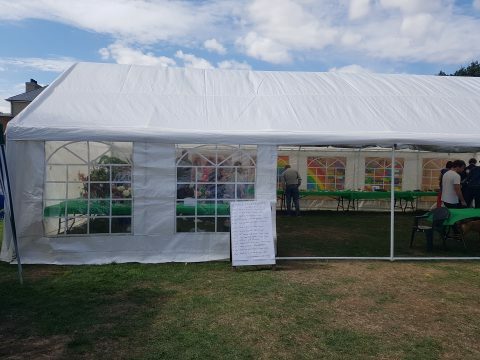 We are delighted to be participating in the first Greensand Country Festival over May half-term – please visit www.greensandcountry.com for the full programme. Depart 1:15pm On arrival at Woburn Sands passengers can join a guided walk to Ridgmont and then catch the return train to Bedford. Ridgmont Station Heritage Centre is open until 4pm. Advance booking recommended for the Heritage Centre Tea Room – call 01525 287120/ 07512 619162. Alternatively on arrival at Woburn Sands, Folk Singer Geraldine will perform further songs on the platform prior to the departure of the return train to Bedford. Refreshments available at the Station Tavern adjacent to the station. Free Event. No booking required. Meet on the platform. Free Event – No booking required. The Bedford to Bletchley Rail Users’ Association (BBRUA) is hosting a guided walk from Bow Brickhill Station to Woburn Sands. Trains depart Bedford at 1:55 and Bletchley at 2:01. 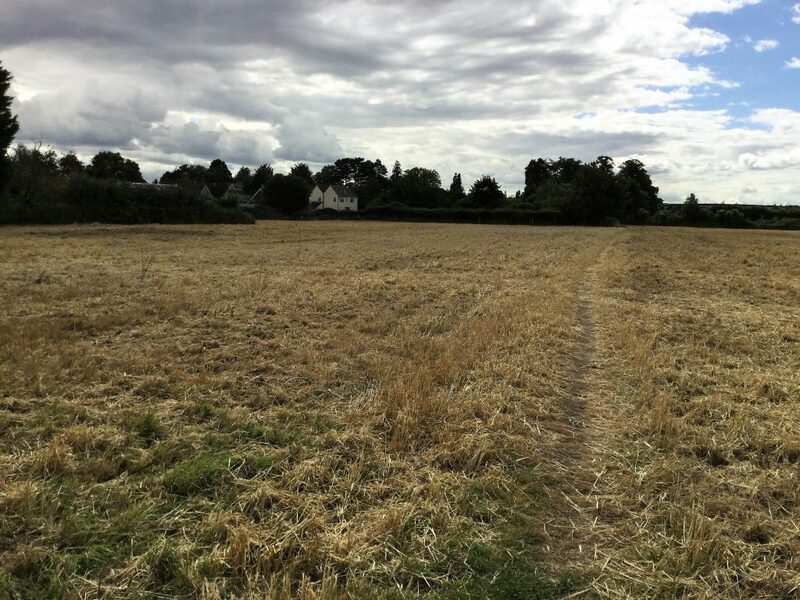 The walk will cross the road from Bow Brickhill Rail Station and proceed over a stile onto footpaths, up a gradual and fairly steep gradient, across a field with a view of Milton Keynes. Finishing by walking through woodland to Woburn Sands. Meeting Point is Bow Brickhill Rail Station.Please e-mailandy@bowbrickhill.com or call 07778 562259 for further information. Bedfordshire Brickworks Exhibition – Saturday 2nd June (10:00am– 4:00pm) – Ridgmont Station Heritage Centre – Free Entry! Andrew Mortlock, London Brick Archivist, will be bringing an extensive collection of archives, photographs and ephemera connected with the brickworks that used to dominate the landscape along the section of the Marston Vale Line between Bedford and Ridgmont and other areas of Bedfordshire. Andrew will also be bringing his collection of company magazines, the Phorpres News, containing records and photographs of London Brick Company workers. Andrew and his family are steeped in London Brick with over 200 years’ service dating back to both his grandfathers. 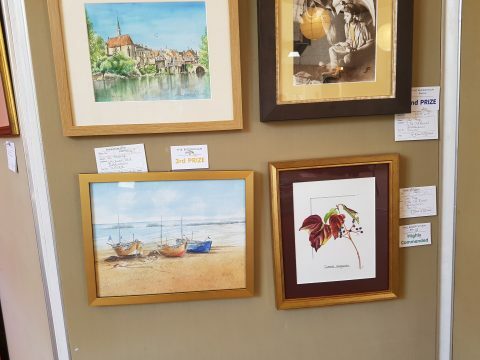 Those who came last year were fascinated by Andrew’s exhibition, and in fact a lot of new information came to light from visitors who had connections with the brickmaking industry, either personally or through family. The Heritage Centre and Tea Room will be open as usual. Group & school visits welcome all year round by prior arrangement. The Heritage Centre is participating in the Museum Expolorer Passport Scheme again this summer along with other museums and heritage centres across Bedfordshire, Hertfordshire & Essex. Collect your free passport from any partipating attraction, get it stamped at each museum you visit and take part in the missions! See www.facebook.com/museumexplorer and www.museumexplorerpassport.com for full details. Please do not hesitate to contact me if you have any queries or would like further information on any aspect of the Marston Vale Community Rail Partnership or the Marston Vale Line.